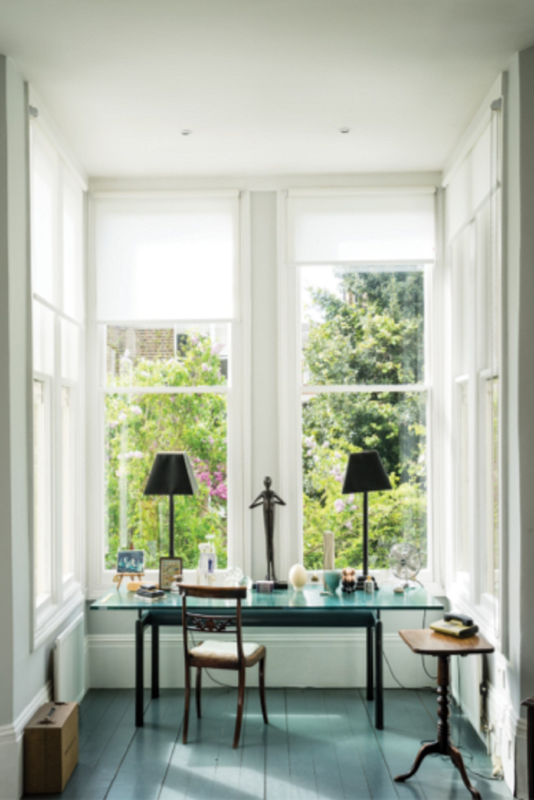 Interior Anthology is excited to announce the addition of Farrow and Ball products to our showroom. 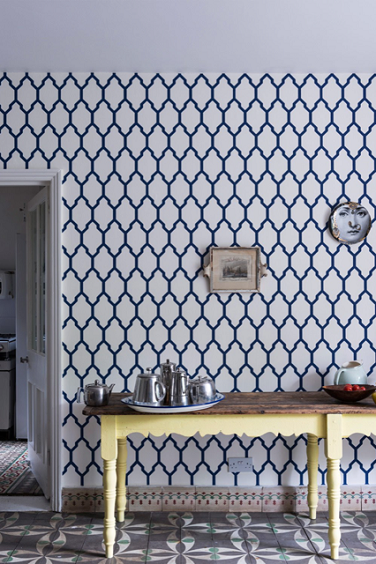 Our team has fallen in love with this paint and wallpaper company and cannot wait to share it with you! 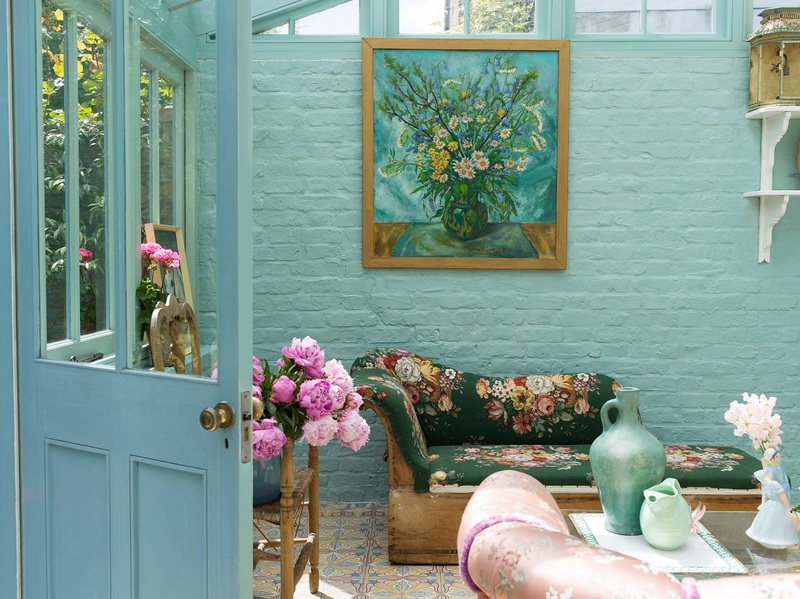 After meeting at a local clay pit in England and discovering each others similar devotion to creating rich color, John Farrow and Richard Ball commenced the Farrow and Ball company in 1946. The first factory in Vernwood, Dorset catered to the Ford Motor Company, Raleigh Bicycles, the Admiralty and the War Office. Since then, Farrow and Ball has become a household name supplying paint not only in the UK but in the United States as well! Despite this growing success, the company has stuck to its roots using original recipes and manufacturing methods. Much thought and care is taken in creating each pigment and discovering the perfect name. The name of each color has a meticulously researched story behind it. 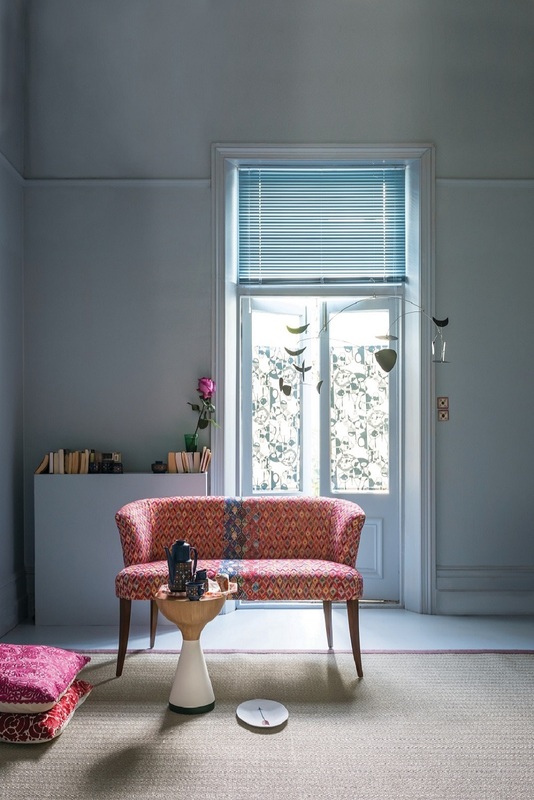 A few of the wonderful color stories we discovered include: Slipper Satin, Plummet, and French Gray. Slipper Satin, described as a chalky off-white color, is named after the color of silk used in making traditional ballet slippers. 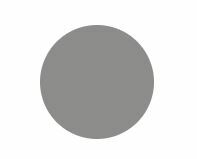 The lead grey pigment titled Plummet was named after the lead sinkers fishermen use to weigh down their line. The soothing green gray color called French Gray is inspired by the French decor and wallpapers used in the 19th century. 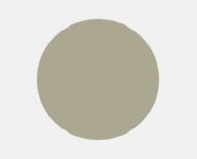 Estate Emulsion is a chalky, matte finish with a 2% sheen. Modern Emulsion also has a matte finish with a slightly higher sheen. It is mold resistant making it a great choice for bathrooms and kitchens. Estate Eggshell is a durable silk finish perfect for interior wood and metal. Full Gloss is a high gloss finish suitable for both indoor and outdoor use. It is not only wipeable but washable as well. Farrow and Ball also specializes in wallpaper. Usually when you think of wallpaper, you think of ink printed on paper. 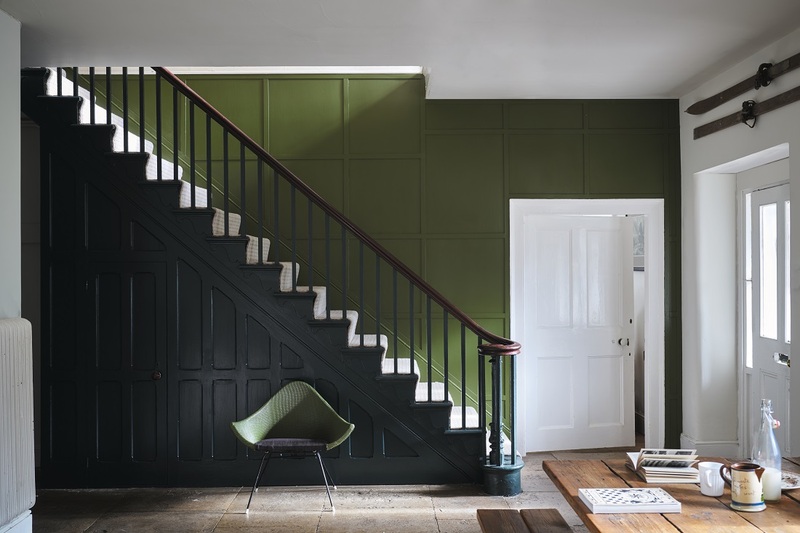 Farrow and Ball uses their actual paint applied to sustainable sourced paper. Depending upon the pattern there are different methods of handcrafting used. Flat bed printing, inspired by 18th century techniques, is used for large patterns. Paint is applied to a hand-etched surface and applied like a stamp. To see this process, follow this link: https://www.youtube.com/watch?v=FD7ObJCE4r0. For more intricate designs, Farrow and Ball implements a roller block printing technique. Paint is applied with a foam roller to a hand engraved cylinder where it is then rolled onto the paper. Trough printing allows paint to flow through the trough onto foam pads and then to the paper. Once oven dried, the paper is taken through the trough process again using a different pigment to create a stripe pattern. Once printed, a final coat of protective glaze is applied. 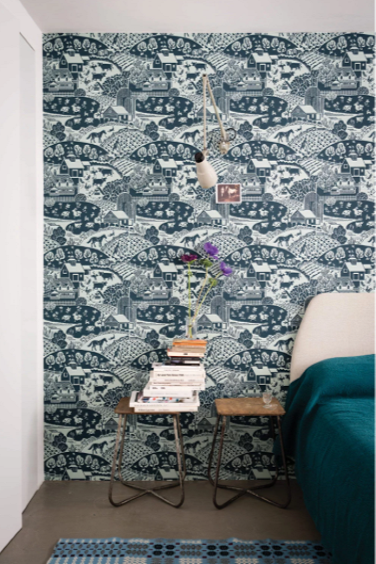 Each method used to construct these wallpapers creates beautiful depth and texture. Every roll of wallpaper is made to order with recommended paint colors for each design. 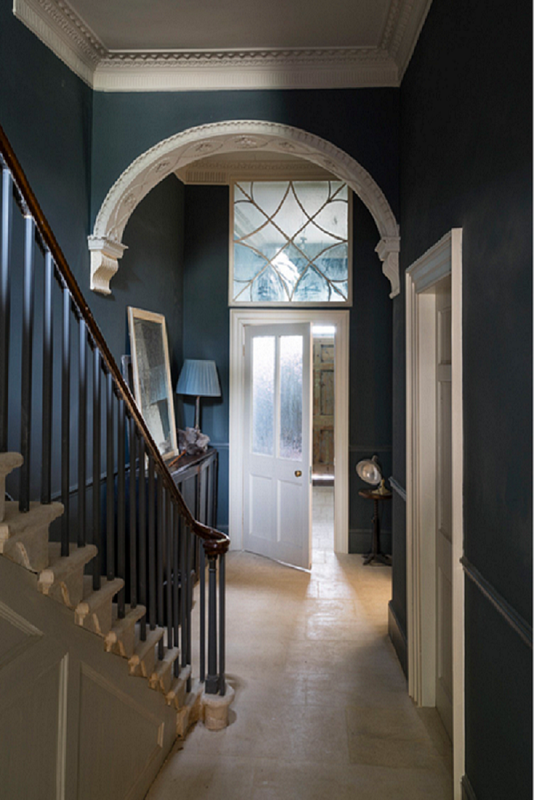 Using the finest ingredients and artisan techniques, Farrow and Ball brings eco-friendly, stunning products that possess rich pigments and exquisite depth. The colors or patterns you choose to adorn your walls are not just a backdrop, they create the mood and tell a story. What will your story be? 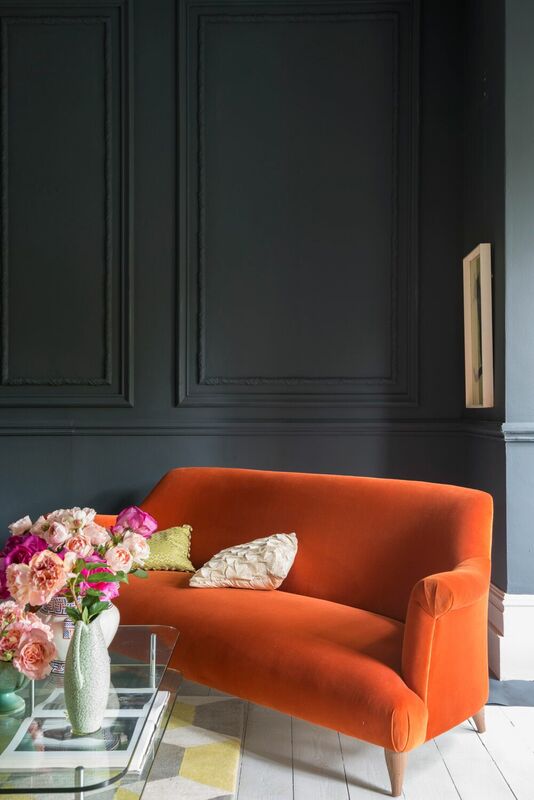 You can learn more about the stories behind each color on the Farrow and Ball website, or on their Youtube channel farrowandballtv.